Happy Cinco de Mayo from the Uprooted crew! 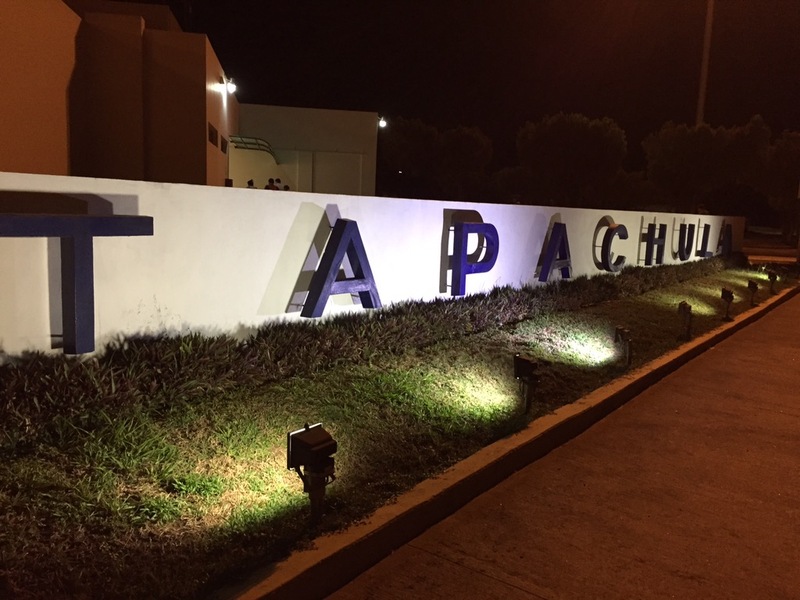 Despite traveling thousands of kilometres, dealing with delayed flights, and flying through a lightning storm, we have all arrived safely in Tapachula, Mexico late last night. This first day in Mexico has been intense! 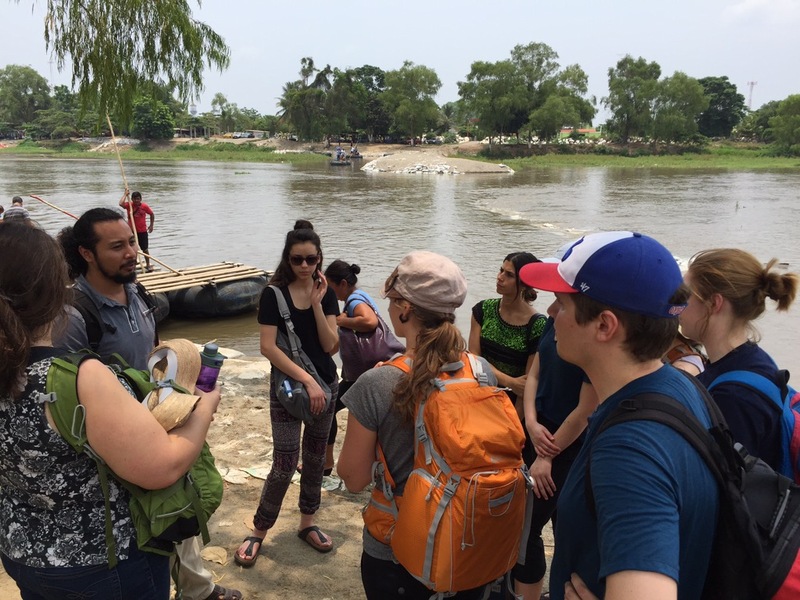 Hot and humid weather, fast-speaking Spanish, and an unfamiliar culture, all while trying to grapple with complex issues surrounding migration and peacebuilding in Tapachula. Tapachula is located in southern Mexico in the state of Chiapas, which borders Guatemala to the east and the Pacific Ocean to the south. This morning we met with Fray Matias Human Rights Center in Tapachula. They help to work for the human rights of the many migrants that pass through Tapachula, as many people cross the river along the Guatemala-Mexico border every day. Fray Matias in a human rights NGO that meets with migrants in detention centres in Mexico and helps them to understand their rights. 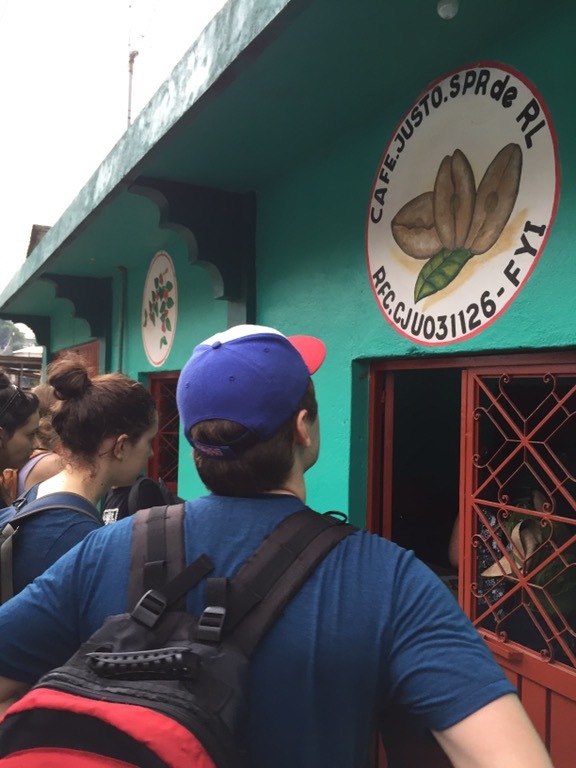 Later in the morning, we all squished into public transportation vans and traveled to the Guatemala-Mexico border to see what is going on there for ourselves. 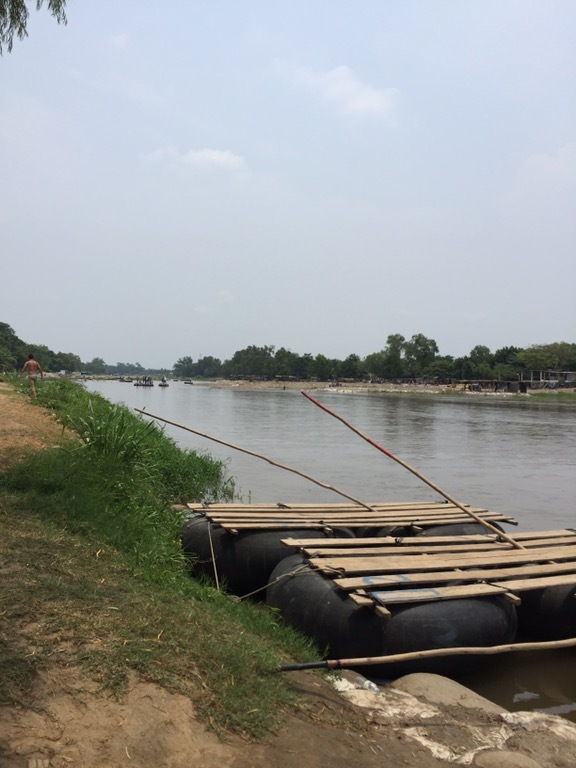 When we arrived we could see the border customs on the bridge over the river, but just a couple hundred metres upstream people could be seen traveling back and forth across the river on makeshift boats made of inflatable tubes and wooden boards. They transported people and goods on these boats and migrant communities could be seen on both sides. It was an unbelievable experience to see this all firsthand. 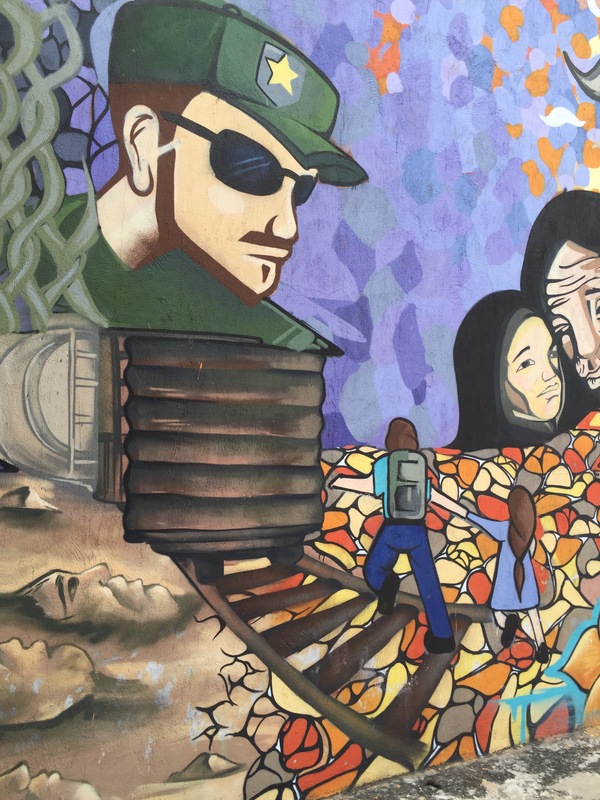 Many of these people are forced to leave their countries due to various unfortunate circumstances at home, but crossing into Mexico is not the end of their struggles. Once in Mexico, they have to get past corrupt police and immigration officers, the drug cartel, and people who are looking to take advantage of these vulnerable people. These migrants come from different countries in South and Central America, but many also come from other troubled places in the world, like Syria and areas of Africa, through South America. 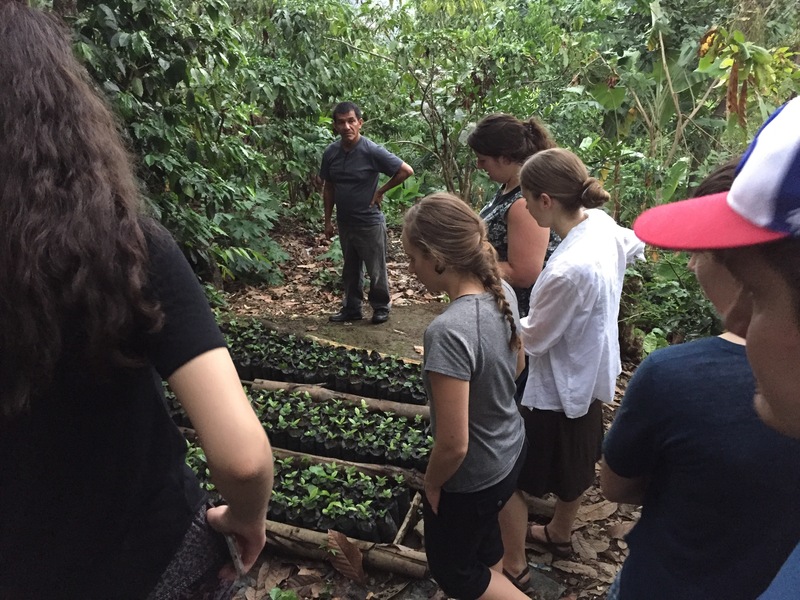 Our last stop of the day took us to Cafe Justo, a coffee cooperative about 30 minutes outside of Tapachula, deep in the rainforest of Chiapas. Here, many coffee farmers became poverty-stricken when the price of coffee plummeted in the early 2000’s. 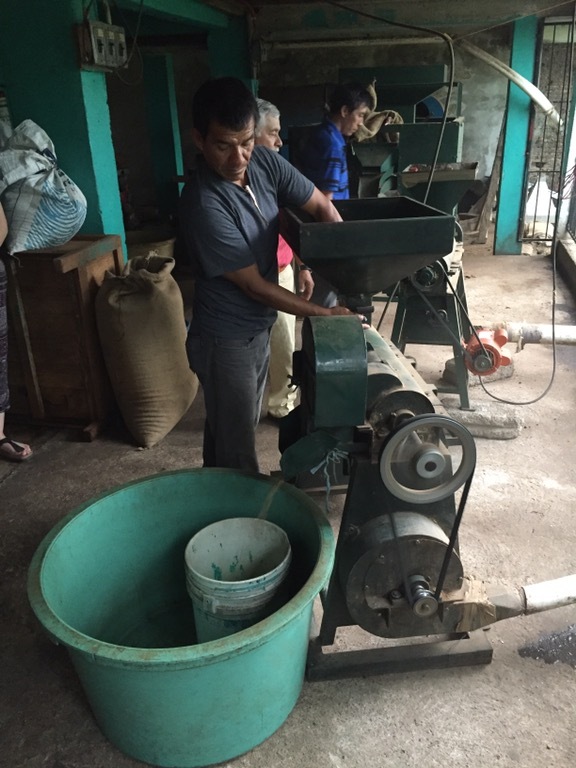 The cooperative came together as a sort of fair-trade organization that was able to harvest the coffee in Tapachula, roast the beans Agua Prieta in the North, and sell the coffee in the United States for a greater profit that helped the farmers to be successful. We will be visiting Cafe Justo in Agua Prieta in a couple weeks when we travel to the northern border. Tomorrow we leave for San Marcos, Guatemala. Check with us again in a couple days for another post! The 2016 Team! Top left to right: Thomas Coldwell (MCC AB), Andrew Brown, Allanah DeJong. Bottom left to right: Allison Goerzen (MCC AB), Jana Klassen, Carol McNaughton, Maria Toro. This morning I had the privilege to see off this year’s Uprooted team. After 3 days of orientation, they are ready to go! By yesterday afternoon, you could tell they were ready to stop prepping and start the journey! In the next three weeks, this team will travel from Tapachula (Southern Mexico) to northern Guatemala, to Mexico City, to Agua Prieta (Northern Mexico) and then to Tuscon, Phoenix. We spent the past 3 days talking about the trip, becoming familiar with the context of Mexico and Latin America, learning about global and regional migration trends, and discussing the mindset necessary to enter into this journey. Today is a long day of travel for the team. Their day started at about 4:30am and they will arrive at 10pm tonight! Please pray for them during this tiring day of travel. They will start full force on the learning tour tomorrow! We greatly appreciate everyone who contributed to this orientation time. Thank you for your willingness to prepare with this team! A special thanks to Abe Janzen, Kim Thiessen, Orlando Vasquez, Rebekah Sears, Anna Vogt, Doug and Rose Klassen, and Alan and Marie McNaughton. Stay tuned for more updates from the team!